During the formative Little Barky years, mine was "Silent Night." My parents urged me to sing it at parties. I feigned being angelic. In later years, "Ave Maria" took over. That's because the annual Perry Como Christmas special always ended on this note. But now it's "O Holy Night," a very challenging song that has been performed many times many ways over the years. A big finish is mandatory. And I think the below two videos deliver. Patti LaBelle performs the first version, much of it a cappella. You can feel the feeling behind it. Josh Groban soars through the second version, with accompanying scenes from the 2006 movie The Nativity Story. Beautifully done. Hope you enjoyed some or all of this season's "Countdown." Have a great Christmas, everybody! You deserve it. The ubiquitous Michael Buble has been all over the place this Christmas. But if you only experience him once, experience him this way in his new CD, "There's No Place Like Hum for the Holidays." NBC's Late Night with Jimmy Fallon showcased the man himself humming merrily through seasonal standards. Dave Matthews also drops in for a very special duet on "The Little Drummer Boy." Ho hum? No. Ho ho ho hum. Enjoy. 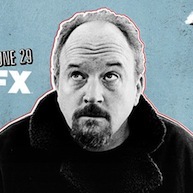 The deeply disturbed men of AMC's Breaking Bad, FX's Louie. 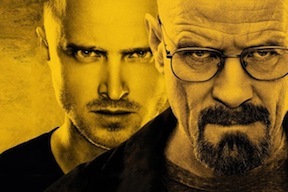 HitFix.com's first of what's intended to be an annual poll of TV critics put AMC's Breaking Bad at the top of the Top 10 list. 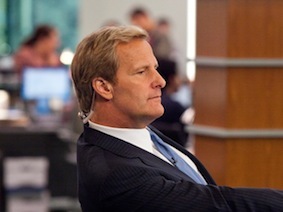 Seven of the anointed were cable TV series while PBS had twice as many entries as the lone commercial broadcast network qualifier, NBC's Parks and Recreation. Your friendly content provider was among 44 TV reviewers asked to participate. I had Breaking Bad in second place, behind FX's Louie. All programs were eligible, including specials and movies. Of the four TV attractions that made my Top 10 but not the consensus, Justified finished just out of the money in the 11th spot. Treme was 20th, The Middle 23rd and The Dust Bowl 40th. Although I really don't think a lot of writers read the fine print indicating that all TV shows were eligible, not just series. Dust Bowl, the latest Ken Burns documentary film, ran for four hours on two nights. It received an aggregate score of 83 out of 100 on metacritic.com, to which I also contribute. "Why, it's so easy a child can do it." Do what? Why, turn your home into a "Window Wonderland" via the "magic" of Glass Wax. Yes, take it from pitchman George Fenneman, who used to be Groucho Marx's second banana on his old comedy quiz show, You Bet Your Life. In the below spot, Fenneman pockets a little extra Christmas cash by touting the unbeatable combination of holiday stencils and Glass Wax. Must've sold a million of 'em. Louis Armstrong's chuckling narration of "The Night Before Christmas" is still the best there's ever been. Here it's accompanied by old timey animation from HBO's terrific 2004 half-hour special 'Twas the Night. The director is Amy Schatz. And if you ever see it, you will even say it glows. Aw, Uncle Barky, ya big lug. The most gainful post-Seinfeld career is still being enjoyed by Julia Louis-Dreyfus, who had a nice run in CBS' The New Adventures of Old Christine and now is rolling along with her Emmy-winning role in HBO's Veep. 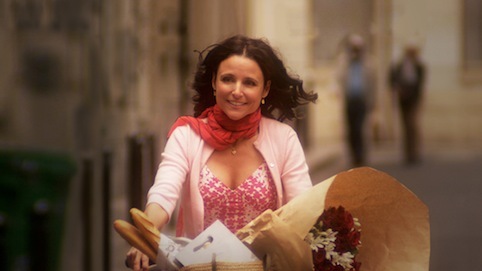 The half-hour HBO film Picture Paris (premiering Monday, Dec. 17th at 8 p.m. central) allows Louis-Dreyfus to tap her inner Woody Allen in tandem with husband Brad Hall, who wrote and directed it. Mais oui, there's also a little American Horror Story in play here. You'll have to be patient. Season 2 of Veep is coming early next year on a yet to be announced date. So Picture Paris is a little place-holder in which a mostly makeup-less Louis-Dreyfus plays an impending empty nester named Ellen Larson. Son Zack (Matthew Fahey) is heading off to college, freeing Ellen and husband, Randy (D.W. Moffet), to take a long-planned trip to Paris. The possibilities at hand are romanticized in ongoing French narration by Eric Elmosnino, with subtitles provided. An eager Ellen is in 24-hour French mode, including cooking and language lessons. C'est not so manifique. The film is described as "quirky" in HBO publicity materials. For a good while it also seems almost numbingly predictable, albeit with nice Parisian scenery also in play. But then comes a major twist of an ending. Sacre bleu!. Did. Not. See. That. Coming. Louis-Dreyfus is winning in the central role, and there's also some nice work by Gregory Fittoussi as a debonair waiter named Marcel. We'll leave it at that, with the proviso that Picture Paris in the end will be an acquired taste. Young and old alike: Put your pedals to the metal and see if you can possibly keep pace with this super-peppy 2010 Brave Combo rendition of "Jingle Bells." The network of The West Wing has a lot more screws loose in this particular White House. Unfortunately, the very broad comedy is sledge-hammered home in 1600 Penn, which is getting the plush sneak preview treatment Monday night following the fall season's last performance edition of The Voice. Providing it survives the trek, 1600 Penn will re-emerge on Jan. 10th in a Thursday 8:30 p.m. (central) slot. NBC sent the first three episodes for review. Monday's opener is so off-putting that the marginally improved second and third half-hours may be beside the point. Bill Pullman (previously the president in Independence Day) and Jenna Elfman (Dharma & Greg) are the name brand stars as President Dale Gilchrist and First Lady Emily Nash Gilchrist, whom he married after the mother of his four kids died. 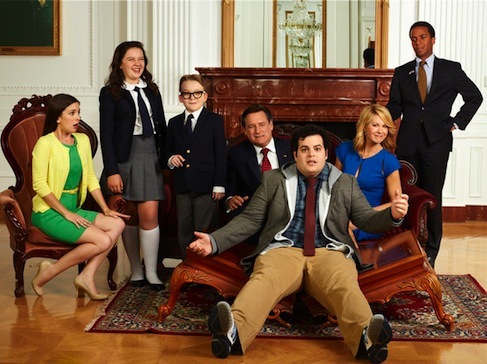 But 1600 Penn basically is a forum for misfit, rotund First Son "Skip" Gilchrist (Josh Gad from Book of Mormon), who shrilly cavorts like a young Chris Farley in heat. The overall intent is to make child the father to the man, who just happens to be the leader of the free world. But gad, Gad, take it down at least 10 notches and then succumb to a long, warm bath without any rubber duckies. Once upon a time, Robin Williams may have over-acted as Mork from Ork. He was a corpse compared to this guy. Skip, in his seventh year of college, is first seen with a collection of very nerdy buds outside a frat house. They attempt to pull a prank that of course misfires, leaving poor President Gilchrist again at the mercy of the press corps he despises. Even so, Dad decides it's time for Skip to return home and instead wreak havoc in the White House. Which he does -- before everything works out in the end. Or as NBC publicity materials put it, "Despite his many well-intentioned yet misguided efforts, Skip is the glue that holds this family together." NBC, also the network of The Biggest Loser, makes a running joke of this big loser's compulsive over-eating of junk food concoctions. This seems more than a little counter-productive, although Gad as Skip conceivably could put together a little post-1600 Penn disclaimer in which he tells viewers, "Don't be like me. Eat a carrot once in a while." Meanwhile, Pullman looks bloated and even constipated as the Prez. The character is supposed to be gruff and lacking in parental skills. But maybe all he needs is a long, long sit-down in the presidential Men's room. One can't blame Pullman for looking constantly uncomfortable, though. A truth serum-induced thought bubble over his head might well read, "So my career has come to this?" Elfman still looks great, and is better served in some of her scenes with the kids she's trying to win over. Besides Skip, she has a newly pregnant stepdaughter named Becca (a gradually appealing Martha MacIsaac) and twins Marigold and Xander (Amara Miller, Benjamin Stockham). In what seems to be a rather transparently clumsy effort to be inclusive, virtually every one of the Gilchrists' aides is a minority. But only White House press secretary Marshall Malloy (Andre Holland) is a regular member of the cast. The President is not affiliated with any political party in these first three episodes. And other than being intent on taking out terrorists, his political positions likewise are a mystery. Sorry, MSNBC and Fox News Channel. There's nothing to get outraged about, unless you want to rail against substandard comedy. MSNBC's Joe Scarborough, Mika Brzezinski and Willie Geist nonetheless are along for the ride with cameos in Episode 2. And the inevitable Jay Leno pops up at the close of Monday's premiere. We're supposed to believe that a young person not only is watching The Tonight Show but also laughing at Leno's monologue. Then again, we're only talking Skip here. It all gets at least a bit better in the two episodes beyond the opener. Gad even appears to be modulating himself a little during the course of constantly screwing up while also saving the day. Still, nothing here works well enough to merit a loyal following. 1600 Penn at best is a comedy that plunges off its own "fiscal cliff." In that respect, Washington's fractious Democrats and Republicans likely could unite to unanimously pass a bill in which they hereby declare, "Watch us on C-SPAN instead." This one's a little longer than most -- about 6 minutes. But it has a very nice payoff. Comedy Central's 2012 Night of Too Many Stars telethon to raise funds for autism research included an auction for a family Christmas photo with Al Pacino. Yes, the real Al Pacino. Boy, they're gonna miss him. The show. The cast. The crew. The viewers. Courtesy of TNT, the first two episodes of Dallas' Season 2 arrived Wednesday evening. A brief cover letter from co-executive producers Cynthia Cidre and Michael Robin acknowledged the "mixed emotions" in play. "Larry Hagman was a giant in television history," they said. "He was an exuberant personality who loved portraying the globally recognized character of J.R. Ewing. Larry leaves a legacy of entertainment, generosity and grace. We are forever grateful to have worked with this legendary man." The 15-episode second season launches with back-to-back hours on Monday, Jan. 28th. 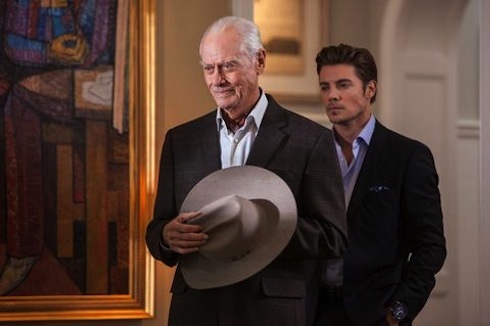 Hagman, who passed away on Nov. 23rd, reportedly appears in the first six. A funeral for his indelible J.R. is planned for the March 11th episode. We're not going to give away any of the plot machinations from the first two hours. But be assured that Hagman is very much a presence, particularly in Episode 2. In Season 2's opening hour, J.R. is first seen as an uninvited guest in the posh offices of his nefarious son, John Ross (Josh Henderson). He's got his feet up on the kid's desk. You know, like he owns the place. "Don't worry about it. You know how slippery snakes can be," John Ross tells an apologetic secretary. "Now that ain't a way to talk about your father," J.R. replies congenially. Hagman is relatively light in Episode 1, with just two scenes of limited duration. But he's very much a part of the second hour, subtitled "Venomous Creatures." In what's sure to resonate as a classic and perfectly played J.R. moment. he moves in behind his son while the two of them watch Bobby Ewing's (Patrick Duffy) adopted son Christopher (Jesse Metcalfe) kiss John Ross's ex-girlfriend, Elena Ramos (Jordana Brewster). "Makes you wanna punch somethin', doesn't it?" J.R. says. "I don't feel anything," John Ross retorts before Hagman hammers home the essence of J.R. in a mini-sermon for the ages. "It's OK if you do," he counsels. "You're young. Use it. Love. Hate. Jealousy. Mix 'em up and they make a mean martini. And when we take over Ewing Energies, you'll slake your thirst -- with a twist." He then pats his boy on the back and flexes that inimitable J.R. smile before the opening credits kick in. The guy's got it down. J.R. also has a soft-hearted scene with ex-wife Sue Ellen (Linda Gray) after helping to bail her out of some serious trouble. She's grateful and he's philosophical: "Darlin', if I can still throw my weight around this town after all the crap I've pulled, then you'll bounce back just fine." This prompts her to bestow a little peck on the cheek with the playful proviso, "That's all you're getting." But she does invite him for "some tea," and J.R. is mighty pleased to do so. Dallas has always been primarily about double-dealing and doubling down. And there's plenty of that in these first two episodes. But the cast and producers would be the first to admit that this is all basically just window-dressing. We all know that Hagman is taking his curtain calls in the name of one of television's all-time classic characters. And so every scene he's in is both a treat and something of a heartbreak. The show will go on -- or at least try to -- without him. But as these first two episodes again show, that will be a very tall order. NOTED IN PASSING -- John Ross gives a little shout-out to the local daily in an early Episode 1 scene that finds him blackmailing a trucking company owner after a bedroom romp with his soon-to-married kiddo. "I have breakfast with the society writer of The Dallas Morning News," John Ross informs him the next morning. "Told him I'd have a scoop on your daughter." Hmm, longtime rich-and-famous chronicler Alan Peppard wouldn't be party to such a scheme. Or would he? We'll never know, because daddy of course caves in. Hey kids, whaddya want for Christmas? How about a "Roy Rogers Quick Shooter Hat" that probably broke before New Year's Day? The usually straight shootin' King of the Cowboys assured kids that a miniature pop-up gun in a white cowboy hat is "your secret weapon, even when they think you're unarmed." Maybe it's not all that outlandish for those who recall the short-lived 1959 CBS western series Hotel De Pardee. It starred Earl Holliman (of future Police Woman fame) as a prison parolee named Sundance. He was hesitant to use any weapons after being imprisoned for 17 years for accidentally killing a man. So as the new law in town, he blinded troublemakers with sunlight reflected off polished silver discs attached to the hatband of his Stetson. Not sure what he did on cloudy days. Anyway, the pop-up gun likewise would have been a one-trick pony after word got around. Still, Rogers happily pitched it in his Sunday best western outfit, fringe and all. Hark, it's Bing and Frank in a 1957 ABC Christmas special that originally aired in black and white on ABC. It also was filmed in color, though, for theater showings that never occurred. Many Christmases later, the richly appointed color version was discovered and included in a 2010 DVD collection titled Bing Crosby: Volume Two -- The Christmas Specials. In the below video, Sinatra joins Crosby for his anthem, White Christmas. They then settle in for what looks to be a sumptuously prepared two-man meal at a mockup of Frank's place. It's all very nicely done with no messing around. Bing may be more famous for his odd couple version of The Little Drummer Boy with David Bowie. But this one's a keeper, too. Unclebarky.com shifts into Christmas cheer gear again as Dec. 25th closes in. As with last year's "Countdown," we hope to bring you videos you perhaps haven't seen before. Or at the very least are happy to see again. Day 1 brings this nifty little "Santa Baby" number from the anchor team for San Antonio's 6:30 p.m. WOAI-TV newscasts. It initially ran last Christmas. And in D-FW, it may not be a bad idea for some station to mimic it. WFAA8 increasingly is bullish on comedy news, but any of the local morning teams could make this work for them. Time's growing short, though.